Home › Knowledge Hub › Guides & reports › Charity magazines and newsletters: has print had its day? Charity magazines and newsletters: has print had its day? Our print magazine budget is being challenged. That’s what CharityComms members told us earlier this year. The prevailing financial climate has put every aspect of charity activity under the value-for-money microscope. And despite magazines and newsletters being a traditional mainstay of charities’ communication with their key audiences, they’ve not escaped the eagle eye of financial directors convinced that print and postage costs are an anachronism in the age of websites, email and Twitter. But have print titles really had their day when it comes to charity supporters? Are there genuine business reasons to make the switch to digital, and who in the sector has taken the plunge? Do you really save significantly by going online, or are you risking alienating and possibly losing supporters as a result? And how can you harness the potential of social media to bring your magazine content to life? Following a survey of 175 charity communicators about their digital and print magazines and newsletters, we’ve produced a picture of how the sector is adapting to the changing media habits of its audiences. 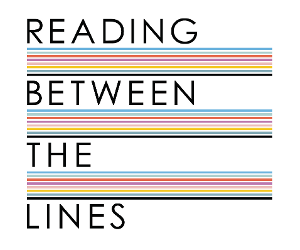 Reading Between the Lines offers an overview of what’s happening in the sector around digital and print magazines and newsletters and compares that to changes in the commercial and public sectors. Download your free copy to help you make informed decisions about any changes your charity is considering.